Miles To Go is the new album by the three-piece Todd Wolfe Band, comprised of guitarist and singer-songwriter Todd Wolfe, bassist Justine Gardner, and drummer Roger Voss. Todd Wolfe began playing music for New Yorkers back in 1979, and Miles To Go is proof that he’s still rocking to this day. Wolfe played guitar in a number of bands, including Sheryl Crow’s, before forming his own band in 1998. As members of the band have changed throughout the years, Wolfe now rocks alongside grooving bassist Gardner and powerful drummer Voss in Miles To Go. 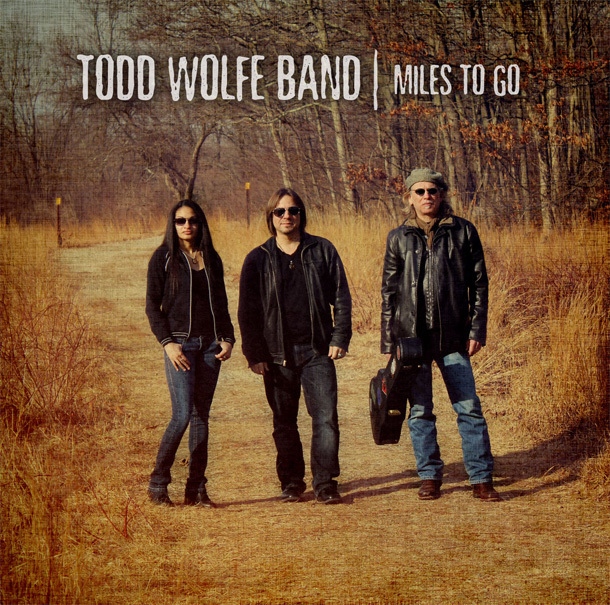 Miles To Go is Todd Wolfe Band’s eighth studio album since he left Sheryl Crowe’s band in 1998. Wolfe’s current band mates are both incredibly skilled musicians, each adding a unique element to the band’s overall bluesy, Southern, psychedelic sound. Todd Wolfe Band will be touring in Canada and the United States this summer, so check out his tour dates and if you’re around you may not want to miss him.